PC Refresh – Do you need to replace workstations? Bring Your Own Device (BYOD) – Do you want to enable secure BYOD policies? Transition from CapEX to OpEX - Are you ready to transition your IT infrastructure from a Capital Expenditures model to an Operational Expenditure model? Is your business ready to move to the cloud? More and more companies are moving their business to the cloud to capitalize on performance and cost benefits. 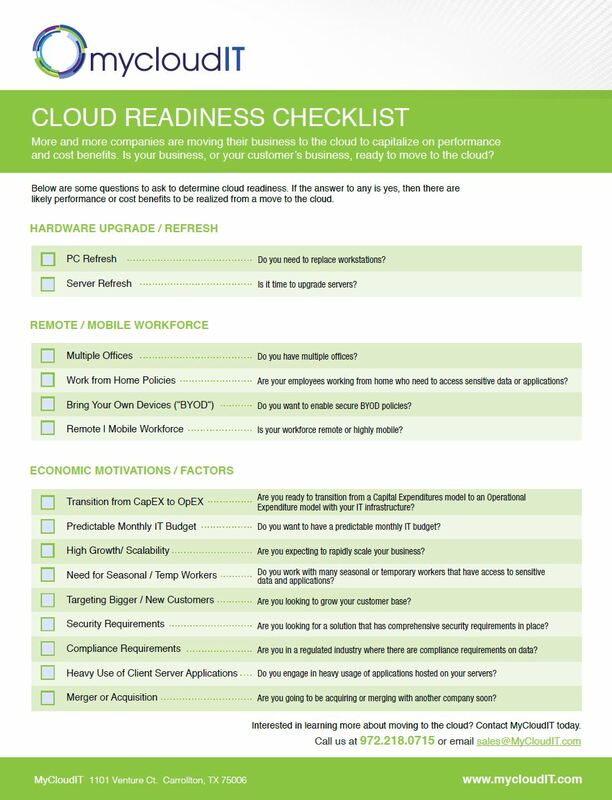 Download this checklist to determine your cloud readiness.